One day death came to a Guy and said, "Hey, today is your last day." Guy, "But I'm not ready!" Death said, "Well today your name is the first on my list." Guy, "Okay then why don't you take a seat and we will drink a COFFEE before we go?" 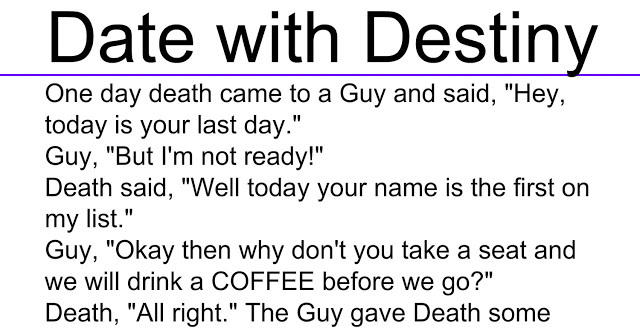 The Guy gave Death some COFFEE with sleeping pills in it. Death finished COFFEE and fell into a deep sleep!!! The Guy took the list & removed his name from top of the list and put at the bottom of the list!! 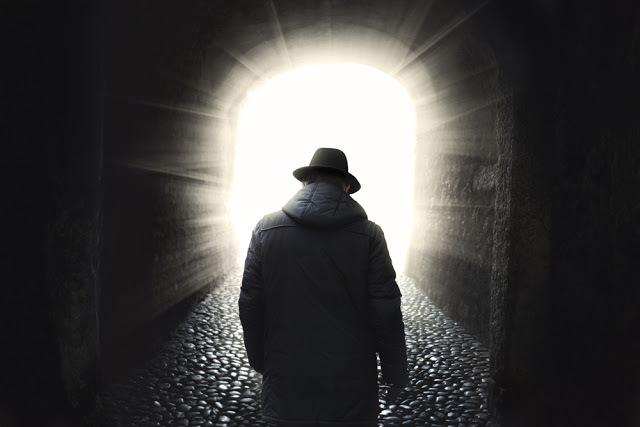 When Death woke up he said to the Guy, "Because you have been so nice to me now I will start my job from the BOTTOM of the list." MORAL: Whatever Is Written In Your Destiny…Will Never Change No Matter How Much You Try To…!